Here’s something sweet to perk up your Monday! 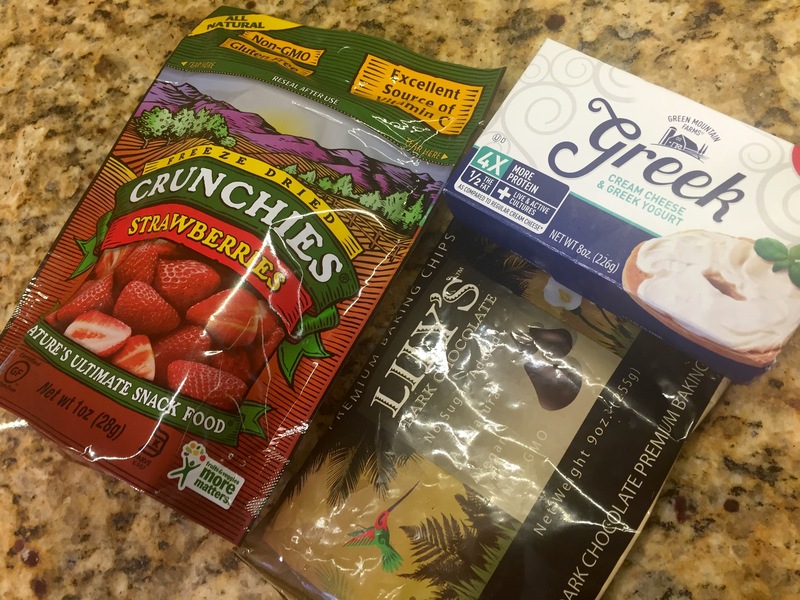 “Trim Healthy Mama” Coconut-Strawberry Truffles. As you should know by now, credits go to Charlene for this delicious THM recipe. They look divine and so easy to make! Can’t wait to try them for myself. Charlene makes the THM marshmallows for this recipe (only takes 10 minutes to prepare) but if you’d rather not make those, you can simply add more strawberries and they will be just as delightful. Need something healthy to curb your sweet-tooth? These will do the trick! Oh, and a little side note to you dear local ladies: Charlene received her shipment of THM products today! Here’s a snapshot of what she’s got. I need to go shopping! =) I can’t wait to try the gentle sweet. And I got my eye on that baking blend too! In mixing bowl, whip softened cream cheese until smooth. Add melted chocolate, sweetener, and vanilla, mixing until combined. Stir in marshmallows and strawberries. 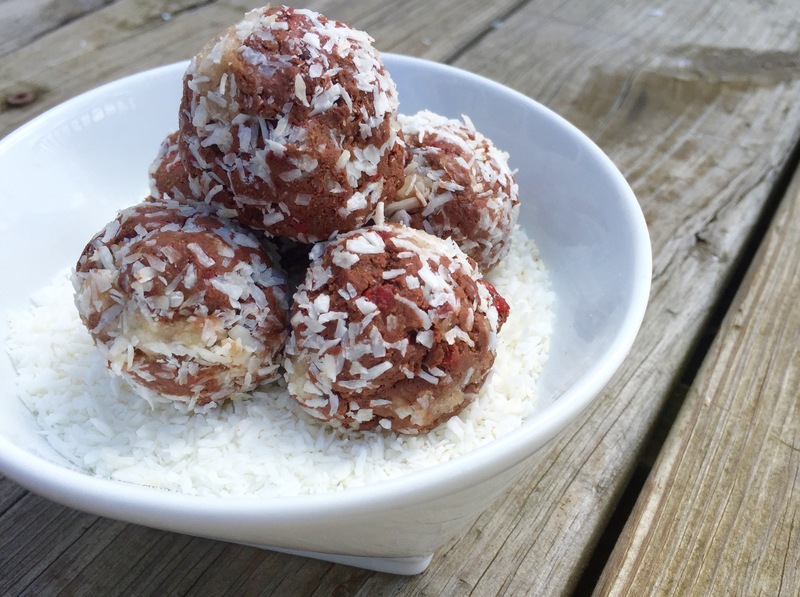 Roll into balls and cover with unsweetened coconut flakes. Refrigerate until serving.